Update: Important character trait added to list. I also brought it back to the top because it’s been a while. Recently, WriteFury and I were talking about Type Four in the Character Profiles series which she is currently working on. Basically, Type Four is the fun guys who are always smiling, really fun to be around. But, while we were talking, I identified a Type Five. And since she wasn’t familiar with most of the characters I classed as part of the type, she asked me to write this post. So here goes! These characters are defined mainly by their sheer complexity. They appear to share traits with both Type One and Type Two, and are almost always extremely intelligent. They tend to also be perceived as quirky or eccentric, and can be much more emotional than Type Ones, or borderline-sociopathic. Their senses of humor vary between sarcastic, wry, witty, or they may not have an apparent sense of humor. Another trait that they share with Type Ones is situational humor–they may make a wry quip about the mess they’re in. This may be due to the fact that they’ve had bad things happen to them in the past, and it’s their coping mechanism. They may be quiet or talk a lot, but you will never get more information out of them than they intend to give you. They’re very clever, and often pretend to be stupid or use their eccentricity to hide just how dangerous they truly are from their enemies, and sometimes their friends. They’re many-layered, using different “facets” of their personalities as a smoke screen, and often extremely private. And last but not least, they tend to be extremely dedicated to one or more of the other characters, to the point that they would die for them–but not on the other character’s terms or on their enemies’ terms. Only on their own terms. They will risk everything they hold dear for that one special person. They are also the most likely to do things for the good of other characters without their consent or even knowledge, which makes them more than a little frightening. This type, along with Type One, is the most likely to punish themselves over things that may or may not have been their fault, in ways that are subtle and not easy for others to notice, whereas Type Two may do dramatic or drastic things (such as attempting suicide, in extreme cases) and Type Four falls into a deep depression. Type Five characters have a strong moral code, often in lieu of following their emotions, because they (sometimes) fear that emotions will lead them in the wrong direction. They tend to be logical, but will sometimes choose non-logical options, especially as they tend to be extremely loyal to their friends–and sometimes not merely their friends, but to their cause. 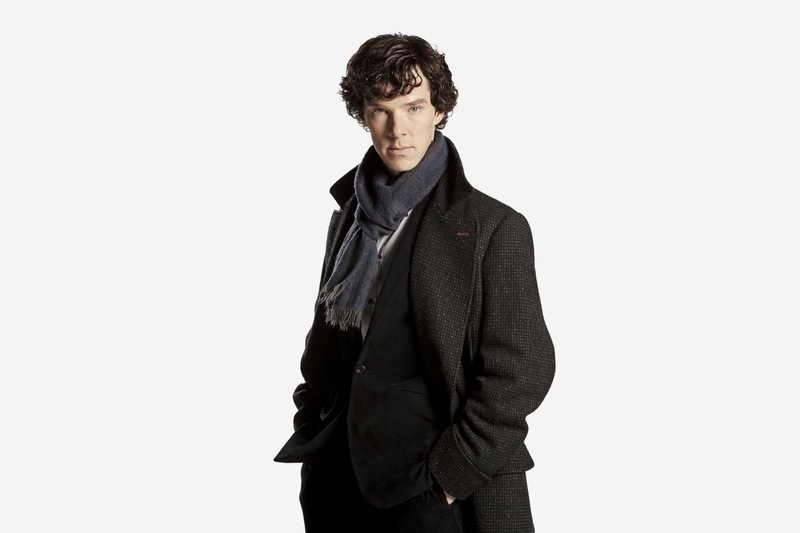 Baker Street’s resident not-a-psychopath,-Anderson, Sherlock Holmes is most definitely a Type Five, wherever he is portrayed. Brilliant and often unfeeling, and holding a soft spot for Watson, Lestrade, Molly Hooper (in the BBC series) and Mrs. Hudson, Sherlock is among the most complex of literary characters. A rare hero, in that he doesn’t hesitate to pull a gun on the bad guys, Sherlock may be “on the side of the angels,” but if you mistake him for one of them, that will be the last mistake you ever make. Sherlock holds himself unflinchingly to his own code, knowing that if he ever steps over the line, that will make him no different from his worst enemies, and he is willing to sacrifice himself for both John (The Reichenbach Fall) and Mary (His Last Vow)–in one case, a physical death (though, again with the planning ahead, that didn’t actually happen) and in the other the death of his good name. Rigid moral code? Absolutely. 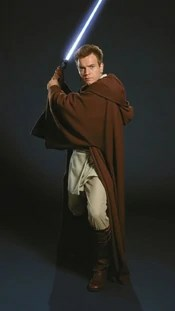 Obi-Wan’s code is probably the one thing that defines him most as a character. Take the loyalty and boost it by five hundred percent. Situational humor? Definitely. While Obi-Wan is less extreme than most of the others on the list, he is absolutely entirely in the details. Subtlety is his other defining trait; sometimes he’s even so subtle that it meshes right into the other related item, using his appearance to fool others into underestimating him. Obi-Wan is not above using Anakin’s attachment to him to manipulate Anakin for the sake of the greater good (Deception et al.) It would be safe to say that he’d do the same for and to Anakin for Anakin’s sake. 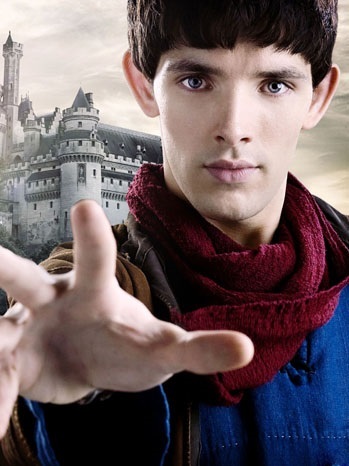 Merlin, also known as Emrys (which is, in case you were wondering, the Welsh equivalent of “Ambrose” and means “immortal”), is the protagonist of the BBC show of the same name (rather than having Arthur take the reins, as usual.) Merlin is, like many BBC characters, a very complex character, and might almost have been classed as Type Two or Type Three, except for his darker side. He is friendly, charming, a bit of a dork, and just generally the type of guy you want to have backing you up, but on the flip side he has an inner darkness that, fed by his magic tutor, the dragon Kilgarrah, SPOILERS eventually indirectly leads to the fall of Camelot. END SPOILERS However, under the guidance of mentor Gaius, he builds strong, lasting friendships with Arthur, Gwen, the knights, and fellow servants. Merlin is brilliant with magic, but he doesn’t act like it. He’s sometimes clumsy but at other times he can be graceful. It’s mainly his ability to fool everyone (including Arthur–again, for Arthur’s own good and at the cost of wanting to tell him desperately about his secret) around him into underestimating him that has him here on this list. Anyway, the Doctor is the very definition of complex. 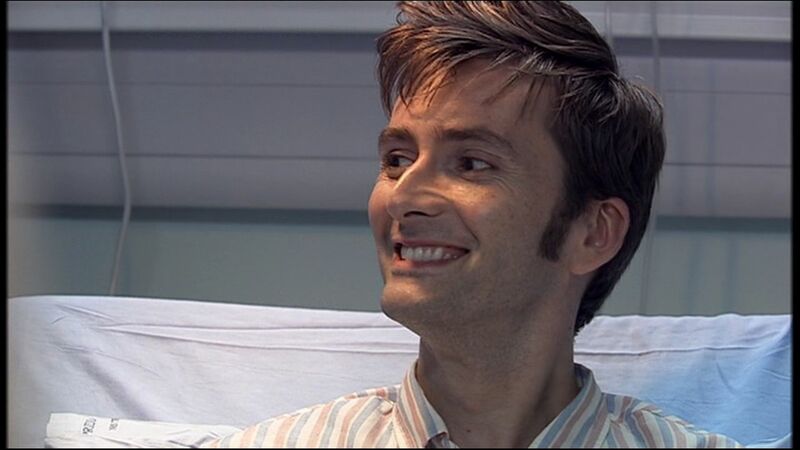 With thirteen different incarnations, all played by different actors and each with different personalities, he sort of has to be. While all the different personalities tend to revolve around a theme and all involve some version of a few basic traits, each version of the Doctor is still entirely unique. And he tends to use his apparent clumsiness (recurring theme here) into fooling people that he’s stupid or doesn’t know what he’s doing. He’s got some pretty toxic guilt over something that I gather is still a spoiler (?! ), and definitely does not trust himself. While he is in an age group comparable to Yoda, it just feels as if he’s been much farther than Yoda has ever traveled and seen more messed-up stuff. While Yoda does the funny-old-guy routine, the Doctor takes a route that is a bit more logical, in my mind; that long lifespan has only gone to make him much more complex, and he’s probably the most experienced person in any field that you’re ever going to find. He also tends to find jokes in things no one else gets, is brilliant to the extent that it’s possible that he’s the most intelligent of any person on this list, is on par with Steve Rogers at thinking on his feet, has phenomenal situational awareness (um, that has nothing to do with the list, more to do with him being good at split-second tactics), and is both extremely compassionate and utterly unfeeling at times. And I can’t even begin to list how many times he’s done things for his companions that they would never have allowed him to do, if they knew what he was planning. Boromir is a Type Two and Merry and Pippin are Type Four. What about the others? 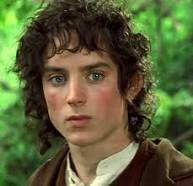 Well, Sam Gamgee might be a type one, but Frodo is a Type Five. Almost everyone underestimates him, and rather than a hidden darkness, he has a hidden majesty–as does Aragorn. 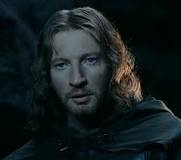 Faramir is conflicted (though not in quite the same way as he is in the movies). And Gandalf… well, when you’ve been around for about three thousand years, you’d expect a character to be a bit complex! Now for my own characters! Winter has a personality somewhat similar to Merlin’s or the Doctor’s, except without the clumsiness, he is a bit more grim, and people underestimate him more because they don’t know him. However, he also has a sense of humor, is very loyal, especially to his mentor and friends among the Rangers, and has a kinder side that is rarely seen, except by his apprentice Elian. He is the bodyguard of the Princess and sworn to protect her. Tairya, the woman Winter is sworn to guard, is probably the only villain on this list. Less blatant than most villains and completely without remorse, mercy, or compassion, Tairya is a Type Four gone horribly wrong. She is the archetype of everything any Type Four could slip into becoming. However, she does have a slightly lighter side; a soft spot for her husband and child–but this turns her even more sour when Winter, in an attempt to fulfill his oath in some way despite his failure to save her, kidnaps (or rescues) her son. Winter and Tairya both appear in my unfinished novel Loyalties and are among my most complex characters ever. Connor is a trained assassin, part of a failed conditioning experiment by a ruthless businessman, and his perceived colorblindness is psychosomatic–in rebelling against the conditioning, he effectively “made himself” colorblind. While he appears to fold to any situation, when he takes a stand it’s quite clear that he’s got some steel in his backbone, probably inherited from ancestors who fought in the American War for Independence. Connor stars in my unfinished novel Colorblind. Wait… mild-mannered reporter living in a superhero world… Never mind. Connor’s only real “superpower” is the ability to see in the ultraviolet spectrum… which is pretty useless in a fight. Nothing to see here, DC Comics. It’s pretty normal for people to run, whooping, through the Selay’uu Mansion. However, normally I’m in my room, writing, when it happens. This time, though, I was leading the charge. I had just finished my spring semester classes, which means I have no classes for a couple of months until my summer ones start. Which means an excess of energy and a lot of excited screaming. And, unfortunately, an excess of energy leads to foolish decisions, such as the one to challenge Captain America to a ping pong tournament. That was a humiliating fifteen minutes. Anyway, once that supremely humiliating so-called “tournament” was over, I calmed down a little–just enough to invite Rosalie over to work on realizing a few plot elements in one story. I’m good with theory, but actually bringing something to paper takes chemistry sometimes, and she’s much better at that than I am. Of course, we had Bruce Banner as well, but we kicked Tony out, because he wasn’t doing anything but make unhelpful comments. And when we got back, it was chaos. It’s certainly time for bed now… how else am I supposed to get up and do it all over again tomorrow morning! ?